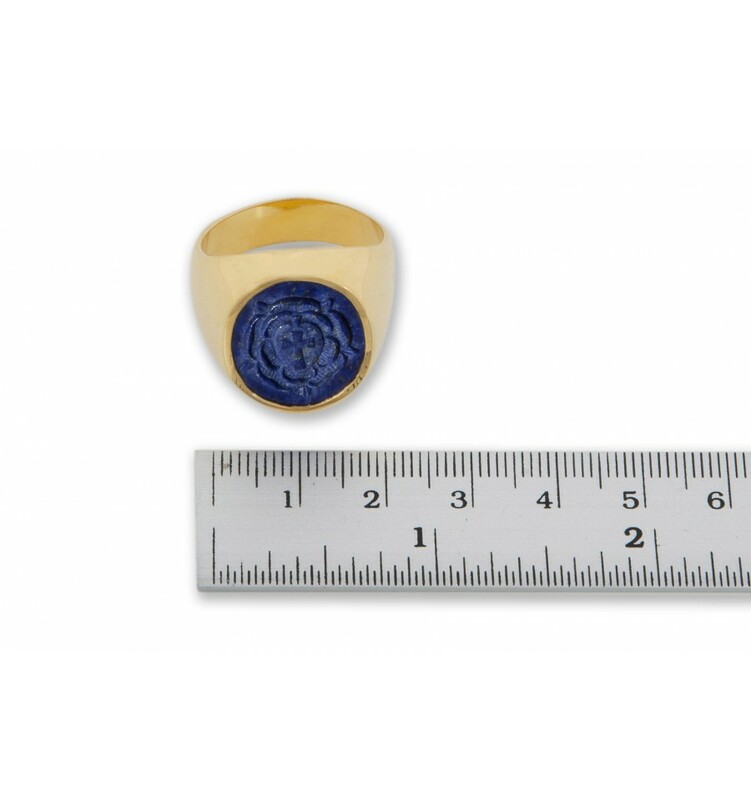 A Rosicrucian cross ring. 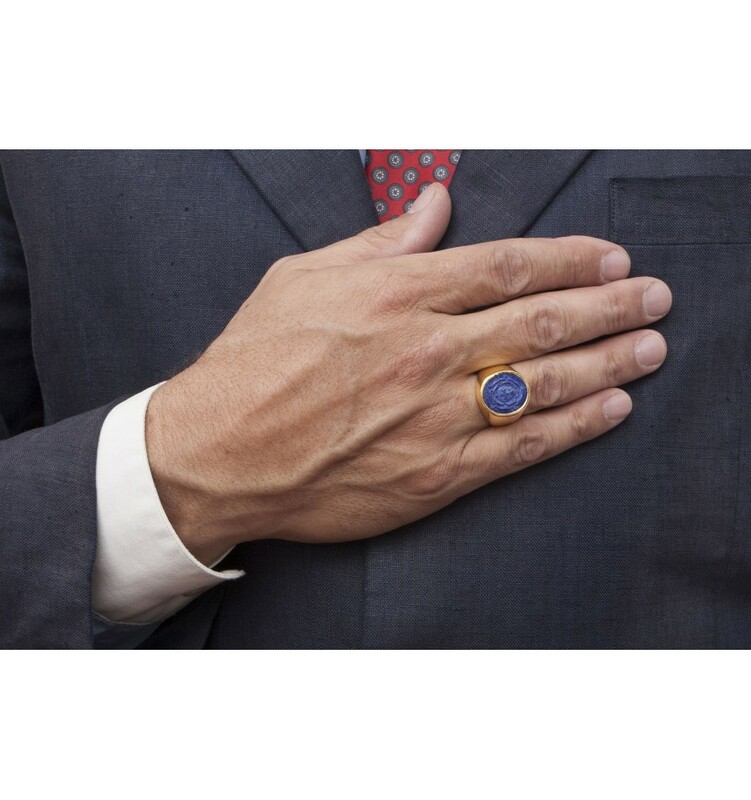 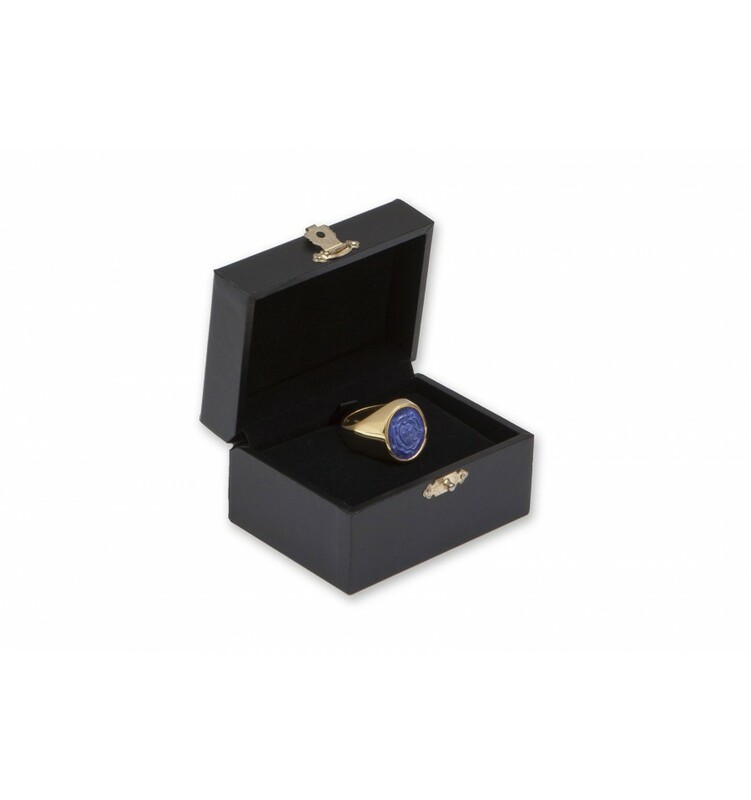 The design has been expertly engraved to a beautiful oval of genuine Lapis. 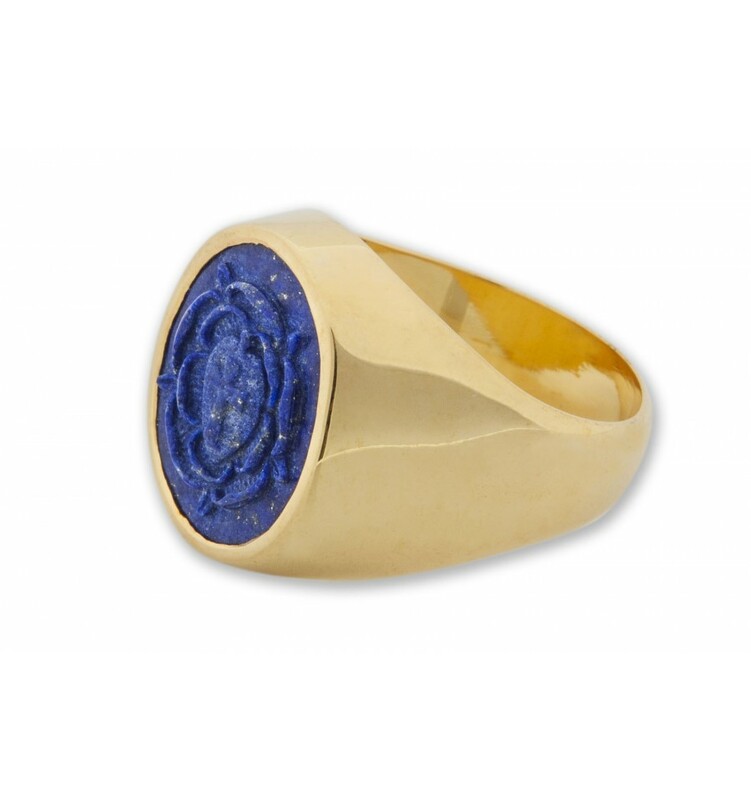 This has been mounted to a solid gold plated sterling silver chassis to create this lovely and very special ring. 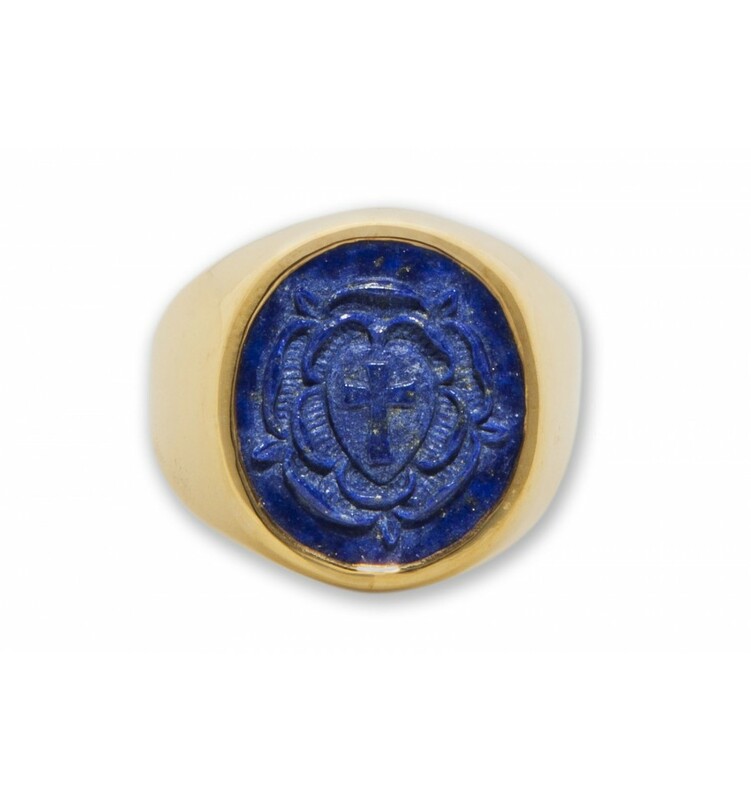 That's why this high quality, hand engraved Rosicrucian Cross ring by Regnas is so affordable.